July 31, 2017, 5:00 p.m.
41% of people have looked up their astrological compatibility with a potential mate. 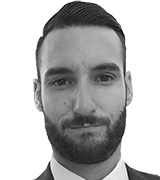 A new study from YouGov examined people&apos;s belief in astrology, and it turns out that the most significant factors in differentiating people’s levels of belief are where they live. While most people said that astrology doesn&apos;t come up in their day-to-day conversations, 41% have looked up their astrological compatibility with a potential mate. Overall, 48% of respondents said that astrology does not have the ability to accurately predict a person&apos;s character traits. 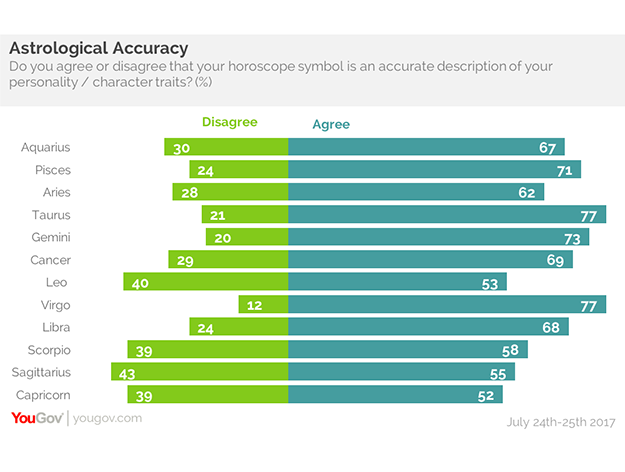 However, when shown a description of their own astrological sign, a majority of respondents from each sign felt that it was an accurate description of themselves. Tauruses and Virgos were most likely to agree with their astrological description, while Sagittarians are most likely to disagree. YouGov also asked people their take on horoscopes. Only 6% of respondents said they read their horoscope every day. 45% said they never read it at all. We found that the type of area people live corresponded to a difference in how seriously they take a daily horoscope. People who live in cities are much more likely to take their horoscope seriously than others, and 24% more so than suburban respondents. 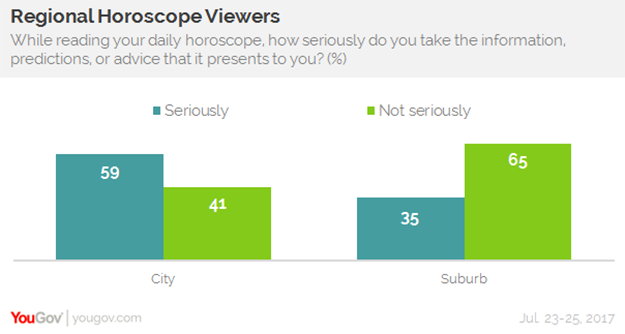 65% of suburban horoscope readers said they don’t take them seriously.